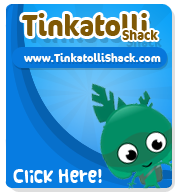 The Tinkatolli HQ released a new edition of the Tinkazette, announcing that the Trader's Back! You better go fast in Canopia, because he has some interesting stuff to trade, and to award the first 10 Tinkas to trade with him with ribbons. Below are listed the location of Trader's wanted items. I have already traded with the trader. Have you? Let us know by leaving a comment to this post!